Jason has lost 3 teeth now, and another is loose. The first tooth we got him one of those dollar gold coins (or was it silver, I can't remember) but for the next one he told me to ask the tooth fairy for "a cash", aka a paper dollar. 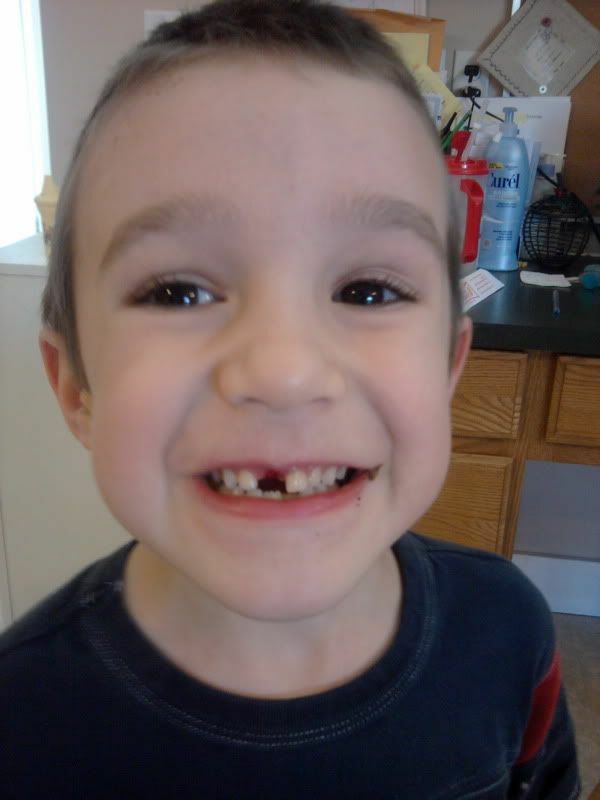 For his third tooth the tooth fairy gave him another "cash" but then he was disappointed that it wasn't a quarter. I had to explain that a dollar was worth 4 quarters. He's so funny. Oh, and his last tooth was bleeding a little before it came out and he got upset. I told him it was normal and that I could pull it for him so he wouldn't have to wait for it to fall out but he was not going for it. Instead he bravely yanked it out all by himself.